Good afternoon my beautiful friends! If you follow my posts on facebook you would have seen the hard spot I found myself in this morning. I had just released my latest pattern which I named the Wee Ones and also uploaded the video tutorial to youtube. And I was watching my own video to be sure the annotations were working properly when in the side bar a video named the Wee Ones appeared! My heart dropped immediately. If you're wondering why youtube put it there it's because they suggest videos to watch according to what your watching at the moment. 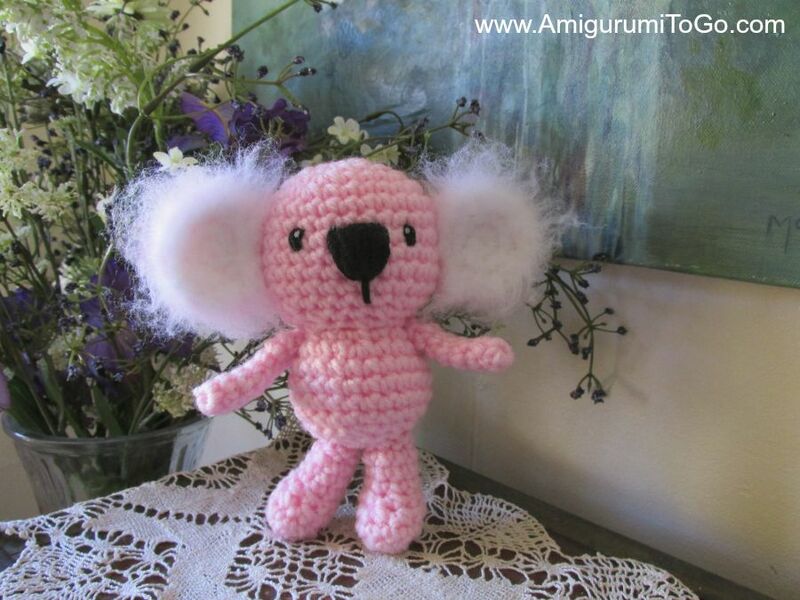 Because I was watching the my own Wee Ones video it matched me up with a similar video by name, which was a series of different animals to make but in knitted form. from another designer or step on their toes. They have had the series up since 2011. Ok, so I decided to go with Wee Bits for the main pattern and keep the individual names of each animal as they were. Wee Koala, Wee Moose, Wee Fox and so on. The Wee koala was happy with that decision. Look at her posing so happy with herself! I want to thank you all for commenting with suggestions and kind words on facebook this morning, it really helped a lot! 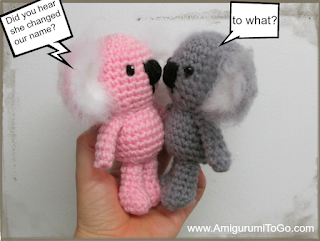 It's hard to be original in such a great big world of amigurumi but we still have to try. 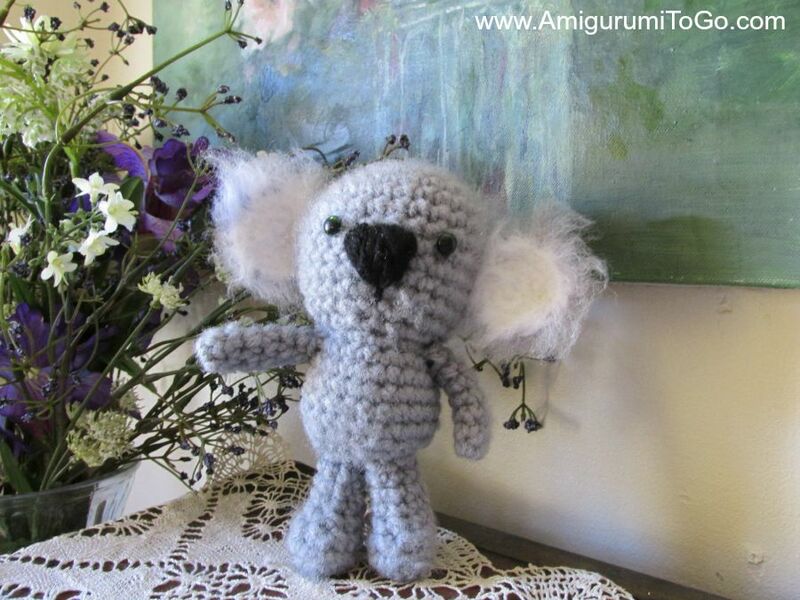 The amigurumi world is growing rapidly everyday! I'm just so glad to be a part of it. You can pick up the free pattern for the basic body here and the Koala pattern here. More wee patterns on the way! We ♥ you Sharon, and all you do (with Amigurumi and the Dollhouses, and I'm sure those who know you in real life love you for soooo many other reasons, as despite the fact I don't know you in person, I love to see your personality, the warmth of human being, and correct you are in things like this, trying to do the right thing).